Patrik Antonius Runs Up an $831,000 Stack on "RailHeaven"
The games on "RailHeaven" have cooled off a bit as of late, but tonight that changed. 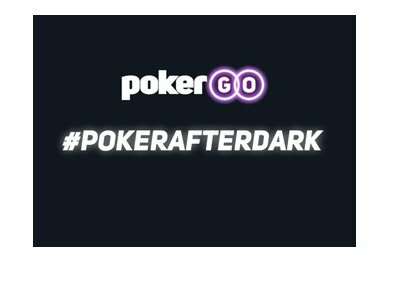 "RailHeaven" (as if you didn't already know) is the $500/$1000 six-handed No Limit Hold'em table that runs from time to time on Full Tilt Poker. 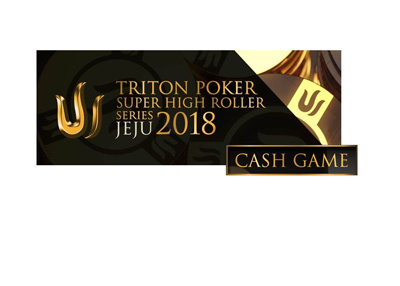 Some of the best players in the world regularly take part in the game, including the likes of Patrik Antonius, Tom "durrrr" Dwan, Phil Ivey and others. Over the past month or so, a couple of players have done very well for themselves and built up large stacks before the table broke. Ilari "Ziigmund" Sahamies famously topped the $1 million dollar mark on "RailHeaven" a few weeks ago, beating up on the likes of Phil Ivey and Patrik Antonius. "trex313" had a great session as well earlier this month, topping the $800,000 mark. David Benyamine and Tom "durrrr" Dwan have also amassed monster stacks on the table at one time or another over the past month or two. 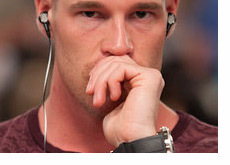 Tonight, it was Patrik Antonius that destroyed the table. What made his feat even more impressive is the fact that he was sitting three-handed with two of the best players in the world - Phil Ivey and David Benyamine. When all was said and done, Antonius was lording over a $831,447.50 stack, Ivey was sitting out and David Benyamine had left the table in frustration after being busted in a huge hand. 1. The final hand of the session. Ivey has the button, Antonius is in the small blind and Benyamine is in the big blind. Ivey raises to $3,000. Antonius raises to $10,000 and Benyamine calls. Ivey folds. The flop comes Jd Ts 8c. Antonius bets $16,000, Benyamine raises to $49,000, Antonius re-raises to $170,000, Benyamine pushes all-in and Antonius calls. Benyamine shows the 9-10 of clubs for middle pair and an open-ended straight draw, while Antonius shows the Q-K of clubs for a better straight draw. The turn is the two of clubs, giving Antonius some more outs. Now he can win with another club, a nine, a King or an ace. The river is the Ace of diamonds. Antonius makes the nut straight and takes down the monster $439k pot. Benyamine insta-quits the table, and the game is over. 2. Kings vs A-T. This is from earlier in the session. David Benyamine has a stack of over $530k and Antonius is playing with about $170k. Ivey is in the small blind, Antonius is in the big blind and Benyamine has the button. Benyamine raises to $3,500, Ivey folds and Antonius calls. The flop comes 2s-Th-5c. Antonius checks. Benyamine bets $5,000, Antonius raises to $18,000, Benyamine re-raises to $34,000, Antonius pushes all-in and Benyamine calls. Antonius shows pocket Kings, while Benyamine shows A-T. The turn and river are the harmless 3 of clubs and 7 of spades, and Antonius is shipped the $341k pot. Benyamine had a stack of over $500k at one point, and ended up leaving the table with nothing. Patrik Antonius, who has been beaten up a bit on "RailHeaven" as of late, was finally able to exact a measure of revenge and was the big winner on "RailHeaven" early Tuesday morning.